The great pace of progress in Aboriginal Canada is still difficult to discern amid a cacophony of concerns for First Nations. Macdonald-Laurier Institute authors Ken Coates and Greg Poelzer, writing in the Sun media chain of newspapers, say we need to make the success stories heard. 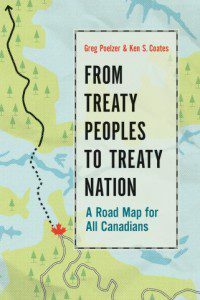 This is an excerpt from their recently-released book, From Treaty Peoples to Treaty Nation, published by UBC Press. Canadians have paid far too little attention to one of the most remarkable stories in their recent history, the great pace of progress in making Aboriginal lives better. If you’re feeling helpless about the future of Canada’s Indigenous peoples, you haven’t been paying attention. The bitterly sad problems of young people at Davis Inlet, Labrador, attract much more attention than a successful band-run school (and efforts at the new Labrador community, Natuashish, to ban alcohol drew the media back to the settlement). The lingering effects of fetal alcohol syndrome spark far more critical debate than does the effective management of federally funded social assistance programs. The accomplishments of a musician or artist are individualized and understood as a personal achievement; the difficulties of a criminal or alcoholic are generalized as part of the social pathology of a community. Success stories are a vital part of Aboriginal life, yet they are missing from the picture in Canada. The revitalization of potlatches and powwows, the achievements of band-managed health care centres, the investment activities of community economic development offices, and the educational achievements of thousands of college and university students speak to a different future. There is a pattern worth noting: crises are noisy; accomplishments are quiet. But … [t]hese impressive and expanding accomplishments must be factored into the picture if non-Aboriginal Canadians hope to understand the healthy optimism and anticipation that runs deep in Canada’s Aboriginal communities. It is commonplace to emphasize the troubles facing Aboriginal people in Canada. And while we must acknowledge that there’s much left to do, let’s be sure to consider what Indigenous communities have done despite the burdens of history and despite contemporary attitudes, often with the support of governments and non-Aboriginal groups. "Success stories are a vital part of Aboriginal life, yet they are missing from the picture in Canada." A battle to sustain language and cultural traditions is being waged, and communities are taking greater responsibility for education, health care, and local government. Aboriginal educational institutions exist across the country, ranging from First Nations day care centres to independent postsecondary institutions. Economic opportunities are expanding, largely through Indigenous entrepreneurship and joint ventures. Little of this was in place forty years ago. The prospects for continued improvement of Aboriginal circumstances remain very strong. More than half of Canada’s Aboriginal people live off-reserve. They are mingling and cooperating with other Canadians in countless new and often positive ways. In no way is it fair to characterize the move into the cities as one of unrelenting despair and hardship, although the Aboriginal areas of Winnipeg, Saskatoon, Regina, Edmonton, and a few other centres belie this observation. But even here there are signs of change. The impressive steps taken by past president Lloyd Axworthy of the University of Winnipeg to connect that institution to the social and economic challenges of urban Aboriginal people are creating change. That Don Iveson, elected as mayor of Edmonton in 2013, committed his city to addressing the challenges faced by its Aboriginal people points to new energy and determination on the part of non-Aboriginal politicians. Serious health problems, especially the near epidemic of diabetes, have been identified in Aboriginal populations, and major research and treatment programs have been launched to address some of the causes and consequences. Indigenous life expectancy has been rising rapidly – from less than sixty-one years for Aboriginal males in 1980 to a forecast of over seventy-four years in 2021. The gap in life expectancy between Aboriginal and other Canadians was almost 11 years in 1980 but is expected to fall to 5.2 for Indigenous men and 3.8 for Indigenous women by 2021. Infant mortality rates that stood at a scandalous 23.7 per 1,000 in 1980 – over twice the national average – had fallen to 6.4 by 2000. That was only 0.9 points higher than the Canadian average of 5.5. While on-reserve housing remains a serious problem, the number of “adequate units” increased from 45.7% in 1993–94 to 53.2% in 2002–03, although this latter number was a drop from a high of 56.9% in 1999–2000. Aboriginal people are still significantly overrepresented in the justice system – they were 21% of all custodial and community admissions in 2003, an increase of 3% over four years. In recognition of the ongoing challenges, the federal justice system has been seeking new ways (not always with success) to accommodate Aboriginal culture, spirituality, and healing practices. More and more developments aimed at Aboriginal peoples are being initiated and managed by Indigenous organizations. Indigenous communities know of the severity and depth of their problems. They know that, whoever is at fault for causing their difficulties, they are responsible for finding viable and sustainable solutions. To those who wonder if anything can or will change, there is a simple answer: change is already happening. 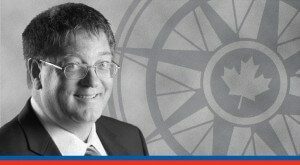 Ken S. Coates is Canada Research Chair in Regional Innovation at the Johnson-Shoyama Graduate School of Public Policy, University of Saskatchewan and a Senior Fellow at the Macdonald-Laurier Institute. Greg Poelzer is Executive Chair at the International Centre for Northern Governance and Development.